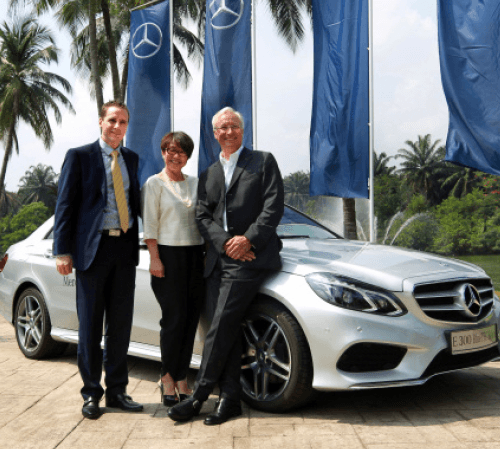 SUBANG: Mercedes-Benz Malaysia Sdn Bhd is looking to increase production at its assembly plant in Pekan, Pahang by adding another shift to two in the second quarter of this year, said its president and chief executive officer Roland Folger. MercedesTrophy 2015 international tournament series here yesterday. The Edge Media Group is the media partner for this year’s event. Currently, Mercedes-Benz Malaysia assembles the S-Class, E-Class and C-Class passenger vehicles, as well as commercial vehicles at its Pekan plant. In the current single-shift operation, the company’s facility is able to produce 15 units of the E-Class per day, five units each of the S-Class and the C-Class, as well as 20 units of its commercial vehicle. On carmakers potentially facing double taxation on unsold cars with the introduction of the goods and services tax come April, Folger said Mercedes-Benz Malaysia will avoid passing any additional costs to consumers. He said the company will discuss with the government and industry association to find an amicable solution. “The transition period in March and April will be challenging to both manufacturers and sellers (dealers). Rest assured that we are committed to delivering the best in both brand and value to our customers. Any possible increase in cost will not simply be passed to the consumers and there are remedies to any potential loopholes,” Folger added. Car sellers are known for stocking their inventory at least one month ahead, and the Malaysian Automotive Association had voiced its concerns that unsold stocks of cars could be subjected to additional tax in April, which may drive car prices up. Earlier at the launch, Folger said the MercedesTrophy 2015 will be an exclusive international amateur series for Mercedes-Benz customers worldwide to experience the passion for perfection through golf. “Barely any other form of sports is as exciting and multi-faceted as golf. Like our products, golf is a game of perfection. Each and every stroke has to be perfect every time. “Kicking off the MercedesTrophy 2015 for the 25th year is definitely a milestone in our commitment to golf, as we are committed to being the best in every aspect,” he said. Folger added that every year, more than 60,000 golfers in 60 countries tee-off for the MercedesTrophy, in the hope to qualify for the MercedesTrophy World Final in Stuttgart, Germany. “The tournament in Malaysia will begin in April, and the top two winners will be rewarded with an all expenses paid trip to Sanctuary Cove in Australia,” he said. Other prizes include a Mercedes-Benz E300 BlueTEC Hybrid worth RM348,888, as well as exclusive merchandises and novelty prizes.